NOW AVAILABLE! Fresh Deli Meats, Cheeses and Sandwiches! Discover what's in season at Hurley Farms! 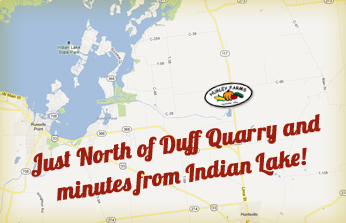 We are located 2 miles north of Huntsville on State Route 117 in beautiful Logan County, Ohio. We pride ourselves on offering you and your family “Fresh Every Day” fruits and vegetables. While most of the vegetables are grown on our farm, we also carry fruits and vegetables that are available from other quality growers. 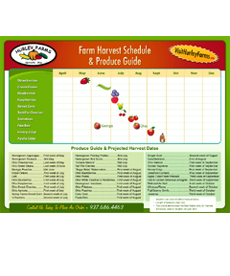 Farm fresh produce makes for the BEST homemade meals, download our Harvest Schedule! Subscribe today to get updates on Produce, Upcoming Events, and Special Offers just for our subscribers!